Can I only contact the office during business hours? You may contact Victoria Community Care between 8am to 10.00pm Monday to Sunday. If an emergency occurs you can be sure of speaking with knowledgeable staff that will deal with any problem presented. Are we registered with CQC (Care Quality Commission)? Victoria Community Care is registered as an approved provider for CQC and is inspected annually. Our Service number is 0000045602. 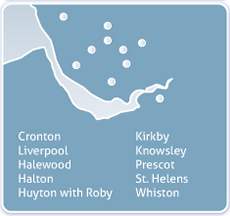 Victoria Community Care Ltd was established in 1996 solely to provide high quality domiciliary care. Do you train your Carers? All carers are interviewed and attend a Victoria Community Care training and induction course. This is followed by an in-house manual-handling course given by our qualified trainer. Carers are also routinely invited to attend specialised courses e.g. 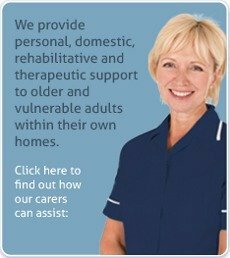 : Alzheimer’s, Stroke, Learning Disabilities, MS, etc arranged specifically for the benefit of the carers. Obviously this will depend on the level of care that is required and a member of staff will be happy to give you an estimate. Does the agency create a care plan for each new Service User? Including details of services to be provided, Frequency of care and the period of time over which the care is provided? Yes. Our Quality Assurance officer will contact you to arrange a home visit to carry out the necessary assessments before you are is due to start. Does Victoria Community Care have a service user guide to explain our rights and responsibilities? Yes. We have a service user guide which we can provide to you when requested. Do we provide care on Bank Holidays? Do you provide a domestic service? Yes our services include cleaning, laundry/ironing, meal preparation, shopping and escorted trips out. This is subject to a risk assessment. Yes. We have registered nurses within our team and all our staff are NVQ trained.